Race and privilege are issues that cry out for new kinds of attention and healing in American society. More specifically, we are being called to surface the dynamics of whiteness especially in contexts where whites have had the most power in America. The church is one of those contexts—particularly churches that have traditionally been seen as the stalwarts of the American religious landscape: mainline Protestant churches. Theologians and Presbyterian ministers Mary McClintock Fulkerson and Marcia Mount Shoop invite us to acknowledge and address the wounds of race and privilege that continue to harm and diminish the life of the church. 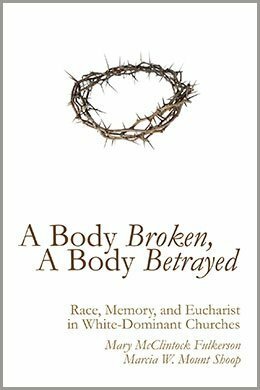 Using Eucharist as a template for both the church’s blindness and for Christ’s redemptive capacity, this book invites faith communities, especially white-dominant churches, into new ways of re-membering what it means to be the Body of Christ. In a still racialized society, can the Body of Christ truly acknowledge and dress the wounds of race and privilege? Re-membering Christ’s broken and betrayed body may be just the healing path we need. MARCIA W. MOUNT SHOOP is a theologian, minister, and author of Let the Bones Dance: Embodiment and the Body of Christ (2010) and Touchdowns for Jesus and Other Signs of Apocalypse: Lifting the Veil on Big-Time Sports (2014). She blogs at www.test.marciamountshoop.com. MARY McCLINTOCK FULKERSON is Professor of Theology at Duke Divinity School in Durham, North Carolina, and an ordained minister in the Presbyterian Church (U.S.A.). She is the author of Changing the Subject: Women’s Discourses and Feminist Theology (1994) and Places of Redemption: Theology for a Worldly Church (2007). The problem this volume addresses—the quiet, subtle way race deforms predominantly white, Presbyterian congregations—couldn’t be more timely. Its authors bring to this fraught subject a well-honed commitment to racial justice and a wealth of experience in Presbyterian congregational life. . . . Clergy, scholars, and laity have much to gain from this insightful and accessible blend of trenchant academic analysis, theological wisdom, and genuine compassion. [This book] guides us through the painful process of acknowledging the existence of racism in the church. It calls us to the difficult spiritual practice of self-reflection, self-examination, and truth-telling. . . . This book is an invitation to approach the Lord’s Table in authenticity to receive the nourishment that can foster reconciliation on a personal and communal level. A bold invitation to explore the healing opportunities that Jesus offers us through a life together at the table, where denial, fear, betrayal, and abuse can be explored and cured, creating the possibility that we might move beyond the dismemberment of the Body of Christ. A prayer request is being answered with this book by two of this country’s premier feminist theologians. . . . Before we can understand the Eucharist as an answer to the racial condition we first must grasp how it questions white privilege, and Fulkerson and Mount Shoop help us do this. Marcia Mount Shoop is a theologian, author, and minister as well as a mother and football coach’s wife. 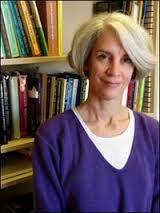 She has a PhD in Religious Studies from Emory University and a Master of Divinity from Vanderbilt University. She is the author of, Let the Bones Dance: Embodiment and the Body of Christ, released by Westminster/John Knox Press in 2010, and Touchdowns for Jesus and Other Signs of Apocalypse: Lifting the Veil on Big-Time Sports, released by Cascade Books in 2014. For most of her life she has worked on issues of dialogue and relationship around race, political polarization, and religious differences in academic, church, and community contexts. She blogs on everything from faith to football at test.marciamountshoop.com. Her husband of twenty years, John Shoop, has coached in the NFL and in Division I College football for over twenty years. Marcia is the fourth generation in her family ordained to the Ministry of Word and Sacrament in the Presbyterian Church. While completing her dissertation at Emory in 2002, Marcia received her first call to the ministry. Since then she has served the Presbyterian Church and in other denominational settings in many different capacities across the country as pastor, theologian in residence, preacher, teacher, and consultant. She has also served the national church in leadership positions with stints as Moderator of the Presbyterian Multicultural Network (PMN) and as Vice Moderator of the Committee on the Office of the General Assembly (COGA). 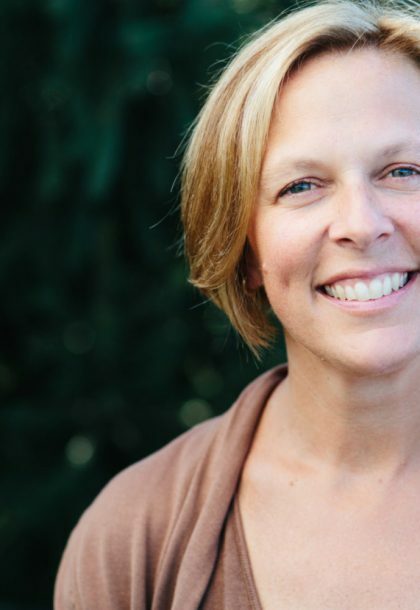 Mary McClintock Fulkerson teaches theology at Duke Divinity School and is an ordained minister in the Presbyterian Church (U.S.A.). Her book, Changing the Subject: Women’s Discourses and Feminist Theology, examines the liberating practices of feminist academics and non-feminist church women. Based upon an ethnography of an inter-racial church, her book Places of Redemption: Theology for a Worldly Church, explores ecclesial practices that resist racism and other forms of social brokenness. She co-edited The Oxford Handbook of Feminist Theology is a collection of essays on feminist theology and globalization with Sheila Briggs. Fulkerson is currently involved in the “Pauli Murray Project: Activating History for Social Change,” a Duke Human Rights Center project on racial healing and reconciliation. This book is about racism and the church, but it goes about exploring those dynamics in some unexpected and unconventional ways. For instance, we explore, among other layers of white culture, the prominent phrase, “colorblindness.” This is a phrase and a mentality that has been employed by many white communities, including churches, to claim our lack of prejudice. Ostensibly used to suggest that “we don’t see color, just people” in a welcoming way, it in fact indicates a prejudice that ignores, and/or is oblivious to, the deeply entrenched effects of historical and systemic racism and its ongoing reality. We have both written previously about race and the church in different modes. Marcia’s first book was about embodiment, with treatment of the way race afflicts the church. And her second book explored (among other things) the subtleties of race and white culture in big-time sports. Mary’s previous book was based upon an ethnographic study of an interracial church. For both of us those projects helped surface some of our own deeply embedded “blindness” about racism and its effects. We both wanted to keep exploring the dynamics of white culture. We have both also had very personal experiences of how ignoring these dynamics trivializes who the church can be in the world. How did you choose Eucharist as the template for a discussion about race and white culture? Eucharist embodies telling iconography about both the church’s aspirations and the church’s realities. It boasts themes of radical welcome and community, as modeled in the life of Jesus. But it has not been functioning to bring people together across lines of difference in mainline churches. We felt this embodied, sacramental icon of Christian liturgy and identity could serve as a potent window into some of the dynamics and some of the possibilities of Christian life in white-dominant communities. We hope to provide language and a framework for conversations about race in white-dominant churches to deepen and to be transformative. Since many people assume that overt and legalized racism have been “cured,” this less acknowledged but deeply problematic layer of racism needs our attention for the church to truly be a healing witness to the world. Who would be interested in this book? Christians of all shapes and sizes can connect to this book. We hope that theologians, ministers, ethicists, justice-seekers, Sunday school classes, book studies, seminarians, graduate students, anti-racism activists, and any who follow Jesus’ lead into the most fraught spaces in American culture find something that enriches their work and their perspectives in this book. Why has racism had such a tenacious hold on the church? Read the book for a more thorough answer, but the short answer is it is hard to heal wounds that are concealed in some of the ways that racism is in the church. Seeing things anew is an important opportunity for people of good faith to finally address some of the dynamics of race that have diminished our lives together as church the most. The authors propose viewing the Eucharist with a “flexible memory” that listens to dissonant stories. This requires the telling of contemporary stories of brokenness and betrayal as part of the liturgy, which may open us up to new ways of seeing our own past and present." I will be handing this little gem to any clergy member or laity who desires to know more about how churches can approach issues of race. Far from being able to name and dress our collective wounds around racism, many of the ways in which racism most afflicts the church remain concealed from our consciousness, and sometimes even camouflaged as virtue. “When I look at a person, I don’t see color—I see a child of God” rolls off the tongues of many Christians. These words are understood and embraced as articulating the unbounded grace and generosity of God’s love. And through this aspiration of loving all people, regardless of their demographic profile, many people have felt called to practice an ethic of colorblindness. Often, the rhetoric heard in mainline Protestant worship— from prayer, to sermon, to offering—reifies the assumption that everyone in church is called to help those in need. These people in need are described (sometimes subtly, other times not so subtly) as being outside the faith communities who seek to help them. “We” the church are helping “them” the poor, the disenfranchised, the oppressed, and the disadvantaged. These impulses toward service, charity, and outreach are taught as universal Christian virtues. The habituations and assumptions that they entail are not collectively explored in terms of race or social location. The stealthy affliction of colorblindness permeates faith communities with a fluid infiltration—it infects institutions of white culture, like the church, camouflaged as the very virtues to which we aspire as communities. And these virtues are not understood as culturally derived; they are to be exercised without regard to color and culture. With reverberations of Paul Tillich’s category of the demonic, the habits and practices of colorblindness distort and contort provisional goods by totalizing them, by being blind to their own finite and limited origins. Tillich uses the fictional character of Faust to illustrate the demonic. Faust desires all knowledge and so makes a deal with the devil to know everything. Knowledge itself is not demonic; the desire to attain all knowledge, to collapse all of reality into oneself, is demonic. Colorblindness is blind to its own color, to its bias toward the absence of color. Colorblindness distorts a culturally derived value by making it an infinite value—a God-derived value. The language of colorblindness in the church takes the aspirations of whiteness to erase distinctions, to ignore histories of oppression, and to bypass dissonant narratives and overlays them onto what God wants for us as people of faith. God’s kingdom, we hear again and again, is a place of unity. Christ’s Body, we hear again and again, is a place where we are all one body. These aspirations of oneness and reconciliation are not necessarily demonic; blindness to the originary desire to make them in the image of white culture, however, obscures a demonic reality. These aspirations are instilled with a dangerous obliviousness to the power of whiteness and its habit of obscuring its own woundedness and its own capacity to wound. Surfacing the marks of colorblindness in eucharistic practice means inviting visibility where there has been invisibility. This invisibility has the capacity to conceal our collective wounds around race in plain sight. And our very stories, aspirations, and habituations geared toward overcoming racism are some of the dynamics that have increased its hold and its harm among us. (541) 344-1528, ext 103 or James@wipfandstock.com. A Body Broken, A Body Betrayed can be ordered directly from the publisher, by contacting your local bookseller, or from Amazon.com. This book is available for purchase online through Amazon.